In small bowl, mix 4 tablespoons butter, melted, 1/2 teaspoon garlic powder and 1 teaspoon dried parsley flakes; brush large cookie sheet with half of the mixture. 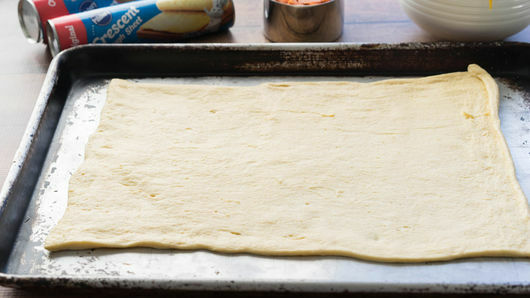 Unroll and press out 1 can (8 oz) Pillsbury™ refrigerated crescent dough sheet over melted butter mixture on cookie sheet. 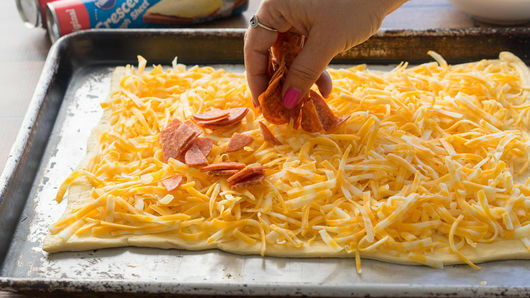 Sprinkle dough sheet with 4 cups shredded Colby-Monterey Jack cheese (1 lb) and 1/2 cup diced pepperoni. 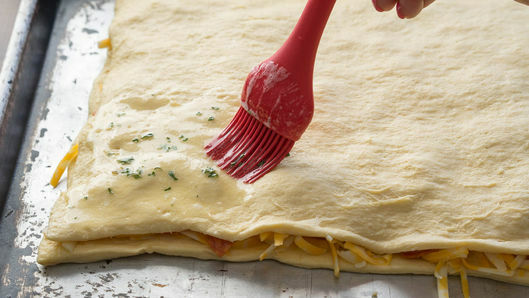 Carefully stretch 1 can (8 oz) Pillsbury™ refrigerated crescent dough sheet over top of cheese and pepperoni, creating large sandwich. Brush top with remaining butter mixture. Bake 12 to 14 minutes or until golden brown. If desired, set oven control to broil for last minute to make top extra crispy; use caution not to burn top. Cut into triangles, and enjoy! 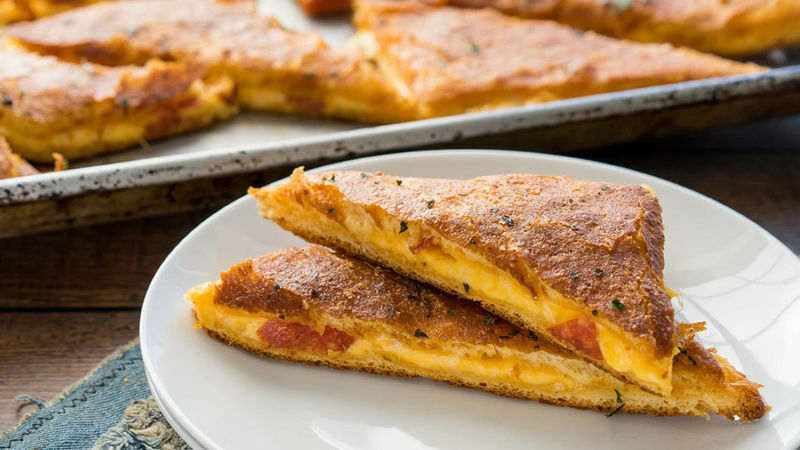 Fill grilled cheese with your favorite pizza fillings, such as sausage, veggies or Canadian bacon and pineapple. 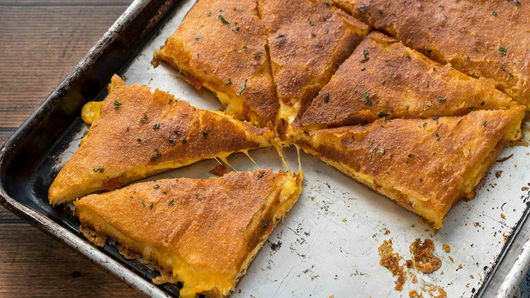 Switch up the cheese filling – try mozzarella, sharp Cheddar or American cheese! Serve with marinara sauce for dipping, if desired.